Dr. Tariqullah Khan is Professor and Manager of the Islamic Finance Program at College of Islamic Studies (CIS) Hamad bin Khalifa University Qatar Foundation Doha since 2009. Before that he worked as the Division Chief of Islamic Banking and Finance at the Islamic Research and Training Institute (IRTI), Islamic Development Bank (IDB) Jeddah. At IRTI, he also officiated as Division Chief for Islamic Economics and Development Cooperation, and worked as Editor of the Islamic Economic Studies Journal. He was the Technical Anchor of the Ten-Year Framework and Strategies for the Development of Islamic Financial Services Industry – a joint IDB and Islamic Financial Services Board (IFSB) initiative – and Co-Leader of the IDB Islamic Financial Services Development program and a member of the IFSB Working Group on Risk Management. Dr. Khan worked as a member of the International Advisory Committee of CIS for establishing the M.Sc. Islamic Finance Program and twice worked as a member of the Visiting Certification Commission, Ministry of Higher Education, UAE. 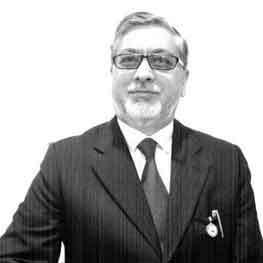 He has contributed several research papers in the areas of ethnics and finance, risk management, regulation, supervision, financial stability, and Islamic financial sector development, developed a number of international flagship conferences in these areas, presented papers and lectures, and edited conference proceedings. He served as a Visiting Fellow at Harvard Law School in the summer of 2011. Dr. Khan holds BA and MA degrees in Economics from Karachi University, Pakistan and a Ph.D. degree from Loughborough University, United Kingdom.